Deadset talks about Diablo Immortal and the initial backlash in the latest episode of our podcast and you'll also find out why Paris is the best city in the world. 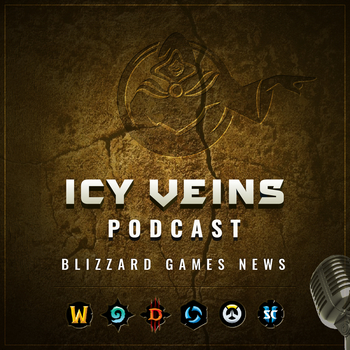 It's time for a new episode of the Icy Veins podcast! Deadset shares his impressions following the community's backlash after the Diablo Immortal announcement at BlizzCon. The game in its current state is entirely cooldown-based and there are no resources. The developers are still discussing monetization models for the game. Creative Director Alex Afrasiabi said in the Eurogamer interview that Sylvanas was actually responsible for Wrathgate. They want to make old maps compatible for Warcraft III Reforged right out of the box and huge experience nerfs are coming to leveling in Tides of Vengeance, so leveling your alts for Heritage Armor should be faster. Don't forget to subscribe to the p﻿odcast in iTunes and feel free to leave a comment on the forums.